The U.S. is beginning work to build missiles it couldn't develop under the INF treaty with Russia. 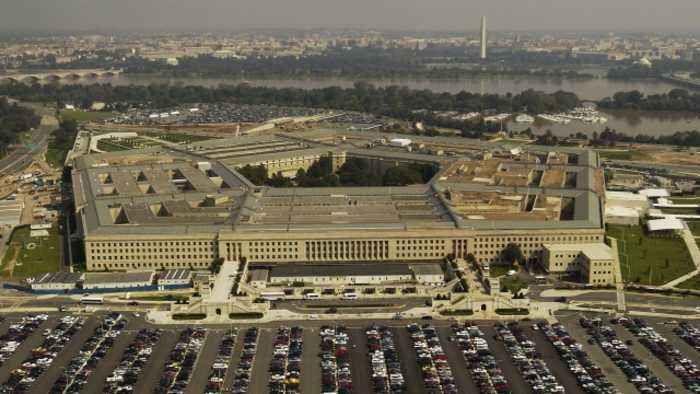 The United States is developing new missiles, according to the Pentagon. It's a result of the U.S. and Russia's decision to pull out of a decades-old nuclear arms contract. 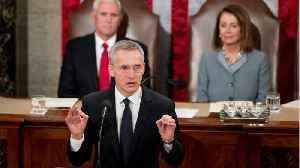 In December, NATO members accused Russia of violating the Intermediate-Range Nuclear Forces treaty. The INF treaty bans land-based nuclear missiles with certain distance ranges. 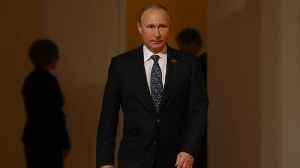 That prompted the U.S. to announce it was pulling out of the agreement last month, claiming Russia violated the agreement terms by developing prohibited missiles. Moscow insists that it didn't breach the pact. 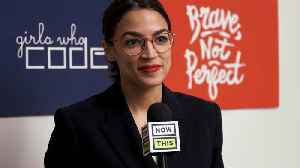 But it followed the U.S.'s example and stated it also planned to withdraw . Now, the U.S. says it's developing non-nuclear missiles that would have previously violated the treaty. 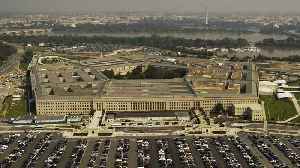 The U.S. doesn't officially pull out of the treaty until August, but a Pentagon spokesperson said all current missile developments are "reversible" if Russia chooses to comply with the treaty by then. 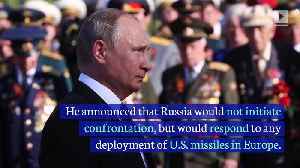 The U.S. is beginning work to build missiles it couldn&apos;t develop under the INF treaty with Russia. 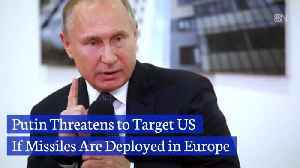 Putin Threatens to Target US If Missiles Are Deployed in Europe On February 20, President Vladimir Putin warned of a “mirror like response” to U.S. missile operations during his..